Obituary for Sylvia J. 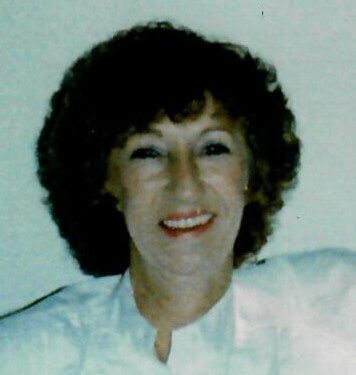 (Wiles) Jackson | Kostanski Funeral Home, Inc.
Deerfield----Sylvia J. (Wiles) Jackson, 80, of Hoosac Rd. died Sunday (12-2-18) at home. She was born in South Deerfield September 28, 1938 the daughter of George and Margaret (Pearson) Wiles. Sylvia attended local schools and was a graduate of Greenfield High School. She worked at UMASS in the physical plant for many years. She enjoyed Boston teams, especially the Red Sox, animals and crocheting. Sylvia leaves her son: Clifton “Kip” of Deerfield, a sister Betty Rice of Greenfield, a granddaughter Molly Jackson of Sunderland, a niece, 4 nephews, and several great nieces and nephews. She was predeceased by a daughter, Linda Jackson and a son Verne Jackson. Services will be held Thursday December 6, 2018 at 11 AM at Kostanski Funeral Home 1 Kostanski Square, Turners Falls. Burial will follow in Laurel Hill Cemetery in Deerfield. A calling hour will be held from 10 AM until time of services.